If you love Nebraska’s natural beauty, wildlife, wide open spaces and unique recreational resources, the Nebraska Game and Parks Foundation is a perfect way to show your appreciation—and ensure that others continue to enjoy Nebraska’s outdoors today and for generations to come. 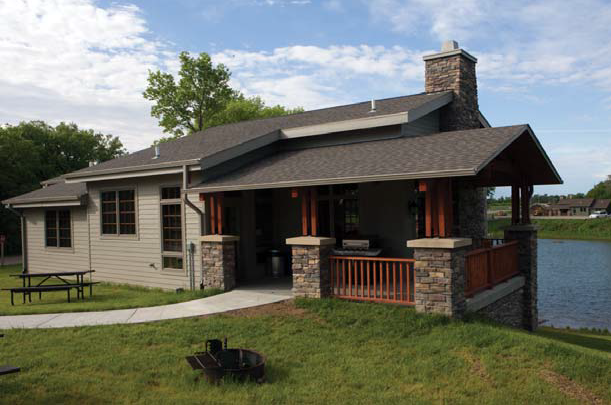 Funding from the Nebraska Game and Parks Foundation built this mini-lodge at Ponca State Park. The Nebraska Game and Parks Foundation was established to accept tax-deductible contributions of cash, corporate gifts, personal property, life estates and real estate to enhance the work of the Nebraska Game and Parks Commission—necessary work that simply cannot be accomplished with limited state funds. The Nebraska Game and Parks Foundation is an organization of Nebraskans for Nebraskans—focused on the future of parks, wildlife management and conservation in our state. Your tax-deductible contribution to the Foundation—in any amount—helps care for and preserve the outdoor resources that make Nebraska special.